Puran poli, Khava poli are the specialty of Maharastrian food. 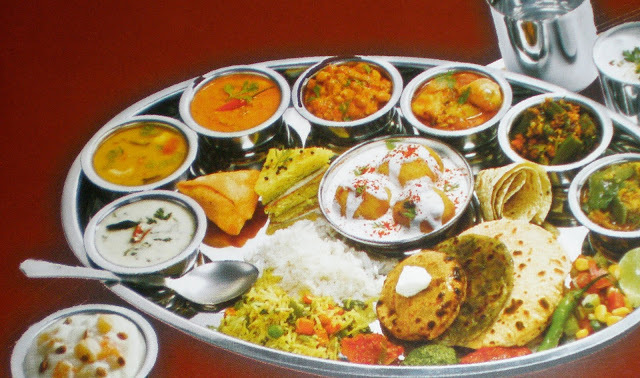 Find below the list of Maharashtrian Restaurants in Nagpur with contact no and address. Address: Ganesh Chamber, Abhyankar Marg, Mehadiya Chowk, Dhantoli, Nagpur- 440012. Address: 82 P&T Colony, RanaPratap Nagar, Pratap Nagar Main Rd, Pratap Nagar, Nagpur-440022. Address: Central Ave Rd, Vaishnav Devi Chowk, Wardhaman Nagar Colony, Nagpur - 440008. Address: Behind Khandelwal Jewellers, Dharampeth, Nagpur-440010. Address: lakshmi Narayan Hall, Wardha Rd, Opp Radisson Blu, Sneha Nagar, Khamla, Nagpur-440015. Address: 52, Nanaji Shastri Marg, Dharampeth, Nagpur- 440010. Address: Reshimbag Ground Square, Great Nag Road,Beside Amma's Hospital, Nagpur-440009. Address: Ground Floor, Panchasheel Square, Wardha Road, Ramdaspeth, Nagpur-440010. Address: Near Bajaj Nagar Square, Central Bazar Road, Nagpur- 440010. Grow your product sell online just by HIRE GOOD Website Designer in Nagpur. We are authorised website development company.